The CUDH is a friendly, student run pack based near Cambridge with meets covering a wide area within about two hours of Cambridge. 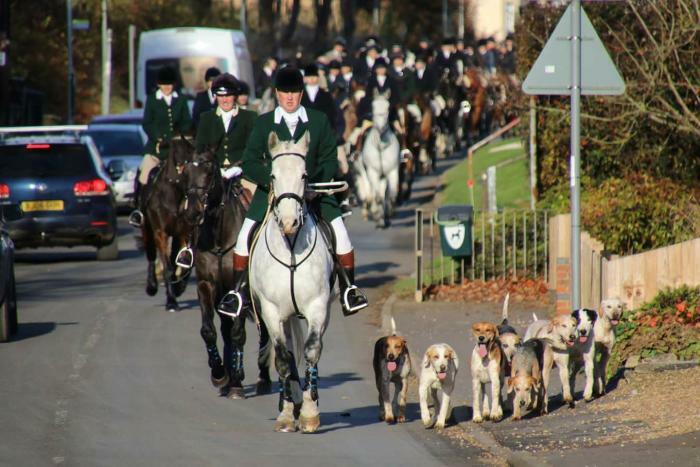 We have a small pack of hounds and hunt a natural scent trail laid by a runner. We welcome all visitors; mounted or on foot. For more information on our meets see the meetcard page or contact one of the joint masters. We have a point to point held at Cottenham racecourse each spring. The CUDH could not exist without the kind support of landowners and local hunts. Thank you to everyone who helps and for their patience in dealing with student masters!